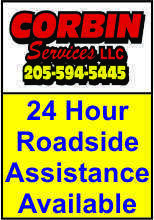 Corbin Services, LLC is a locally owned and operated company looking to provide the Ashville community and St. Clair County with an excellent service with the highest integrity. 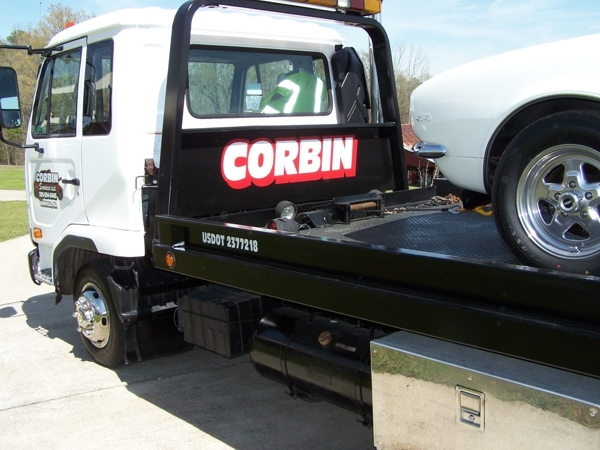 The owner, Jeff Corbin, has twenty years experience in the towing and recovery service. He has worked through many hurricanes and tornadoes to help people in recovering their vehicles and would help to get vehicles to the proper facility or repair shop. Jeff is certified in the American Towing and Recovery Institute for light, medium and heavy duty wreckers. Our drivers have a range from 15 – 35 years experience and are all CDL drivers.